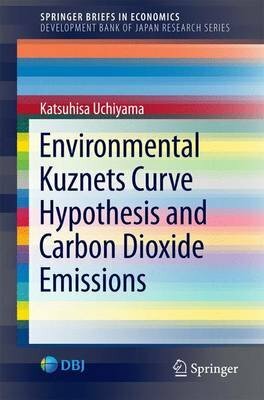 This book investigates the relationship between environmental degradation and income, focusing on carbon dioxide (CO2) emissions from around the world, to explore the possibility of sustainable development under global warming. Although many researchers have tackled this problem by estimating the Environmental Kuznets Curve (EKC), unlike the approach to sulfur dioxide emissions, there seems to be little consensus about whether EKC is formed with regard to CO2 emissions. Thus, EKC is one of the most controversial issues in the field of environmental economics. This book contributes three points with academic rigor. First, an unbalanced panel dataset containing over 150 countries with the latest CO2 emission data between 1960 and 2010 is constructed. Second, based on this dataset, the CO2 emission-income relationship is analyzed using strict econometric methods such as the dynamic panel model. Third, as it is often pointed out that some factors other than income affect CO2 emission, several variables were added to the estimation model to examine the effects of changes of industrial structure, energy composition, and overseas trade on CO2 emission.